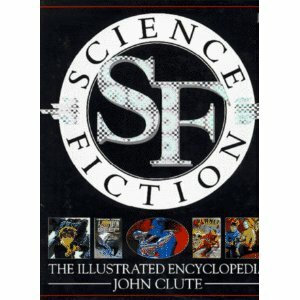 In my opinion, Clute is THE MAN whenit comes to SF reference. My copy of his The Encyclopedia of Science Fiction (with Peter Nicholls) and The Encyclopedia of Fantasy (with John Grant), are must have volumes for any SF-F reader and fan. This one is more fun to look through because of the illustrations (okay, the pictures) but the other volumes have the detailed goods. Which is, of course, as you say. It's my understanding that the Encyclopedia new edition will be digital only. Too damn bad, but I understand the economics of it, especially after John explained it to me. I admire John Clute's SF criticism. Disch wrote some good criticism. Harlan Ellison wrote some, too. Maybe Barry Malzberg wrote the best. Rick: Yes, the 1979 ENCYCLOPEDIA particularly was a bolt from the blue, particularly as I was able to pick it up as a remainder in 1980 for something like $3. Clute is both committed and a good critic, though the participation of the other folks I cite as co-editors and contributors (among many other contributors) shouldn't be slighted. Amusingly, both the 1993 ENCYCLOPEDIA and the 1995 ILLUSTRATED ENCY had electronic editions which tanked commercially. And, now, of course, only an electronic edition makes any commercial (as well as revision) sense at all. George: You mustn't forget such progenitors as Damon Knight and James Blish (as Rick might be the first to suggest today), and Knight always credited Frederik Pohl for inspiring him. Algis Budrys, Joanna Russ, Avram Davidson, Fritz Leiber, Ursula K. Le Guin, and others have carried on the tradition. 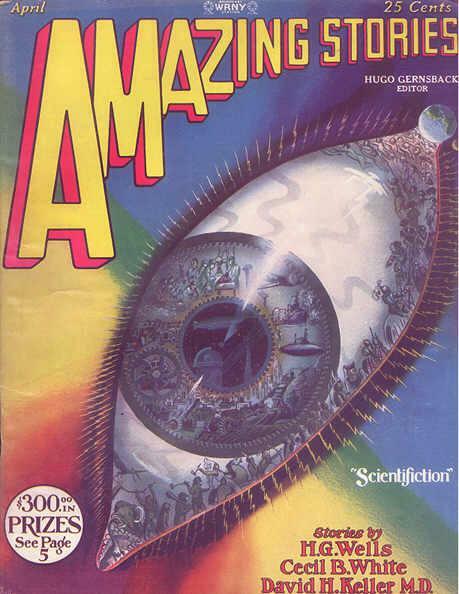 And, of course, Fritz Leiber also conducted a litcrit column in FANTASTIC in the 1970s, as well, along with his extraliterary jottings in FANTASY REVIEW. But who is the leading critic of SF today? You could be, Todd. If I wrote better (and more) and had time to read more, I might take a shot at it...and land somewhere in the pack. You haven't done too badly yourself over the years. Elizabeth Hand, who presumably can reach across the bed to Clute fairly frequently, is one of our best at the moment; I wonder if they challenge each other even if not at all actively, particularly she to write more crit, he more fiction (he didn't publish a novel till APPLESEED, iirc [a big if, I should check], well after their affiance began). Jonathan Lethem is trying to be too cute, but when not doing so, shares some well-informed insight. Richard Lupoff and Gahan Wilson are tailing off in such activities. Damien Broderick is both playful and incisive. Norman Spinrad still does some good work these years for ASIMOV'S. Farah Mendlesohn is certainly one of the better academic critics. Who might you put forward? If Barry is your final answer, I couldn't and wouldn't argue too strenuously. Well, there I go...I'd have to keep up a lot better, too. APPLESEED was actually a decade back, before Hand and Clute became a public item, and, paraphrase, his first novel in more than twenty years. Wow, the decades are rushing by, no? Yes, I would go with Barry Malzberg. Sadly, there really isn't a forum for SF criticism. I slip some in (like you do) on my blog. But I can't imagine a publisher putting out a book of SF reviews in this era. Not even a university press. 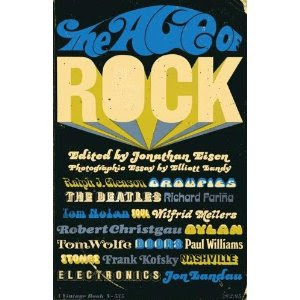 It would be interesting to know what, if anything, The Age of Rock book says in regards to electronics, stereo equipment and recording technology. George: Well, both Joanna Russ (Liverpool, uni) and John Clute (Beccon, small press) have had collections out in the last five years, and Barry was even able to place his BREAKFAST IN THE RUINS with Tor, which means that his went out of print very quickly...and F&SF still offers a forum, as does ASIMOV'S, even if F&SF's variety of titans in the field in the 1970s is unlikely to be surpassed soon...and there remain critical journals of varying degrees of consistency and quality. And such associational works as Kate Wilhelm's STORYTELLER continue to appear...though not enough. Rick--Last night I reread Ned Rorem's contribution, which is amusing both for the provocative suggestions about the state of music generally and for his misapperceptions about how the Beatles wrote their music (he assumes that McCartney wrote all the music and Lennon all the lyrics in their collaborations, for example).